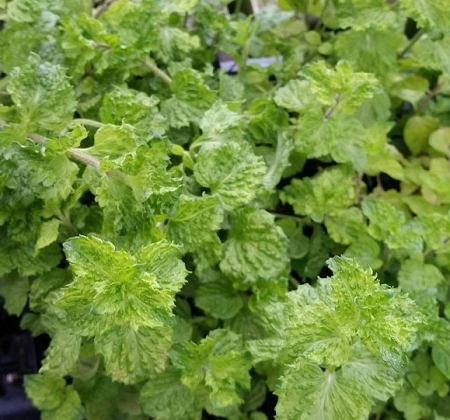 Curly Mint (mentha spicata crispa) - Unusual mint variety has whorled curly leaves that become more pronounced as the plant grows taller. Adds interest to the garden and is a pretty container plant. Upright growth habit reaching 2'. Suitable for culinary and tea use. Easy to grow perennial zones 5-11. Live plant in 3" container.